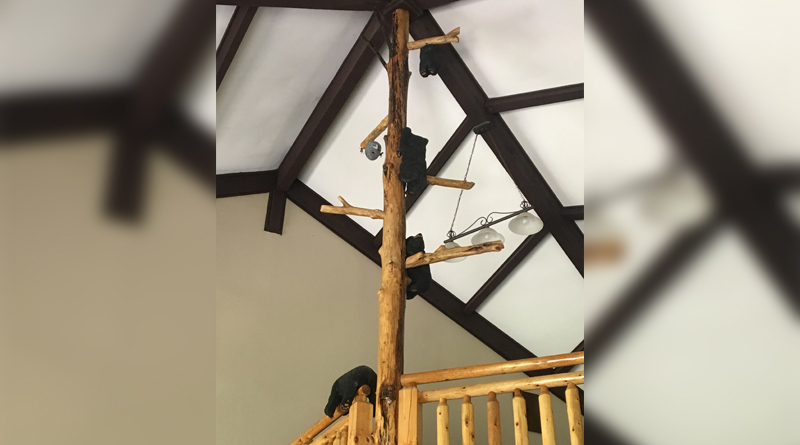 Global Connections, Inc. (GCI) a well-known developer, travel club fulfillment and service provider has opened the doors to The Tree House at White Oak Lodge and Resort. Located in Gatlinburg, Tennessee, the White Oak Lodge is a family resort, tucked against the Great Smoky Mountains. An RCI Gold Crown Resort for its condominiums and winner of the TripAdvisor® Certificate of Excellence for the past three years, the resort features both log cabins and condos for a combination of rustic charm and modern elegance. The two-story tree house will serve as a welcome center for Global Discovery Vacations (GDV) travel club members and a sales office to offer member upgrades. Since there is a complete kitchenette with bar sink and microwave, The Tree House will be a natural venue to reserve for parties, meetings, and special occasions. The mountain themed motif includes a huge two-story high fire place and expansive windows which offer visitors views of the resort and its natural environmental beauty. The interior, with its flagstone flooring, rough-hewn beams and vintage Edison bulb lighting, is complemented with leather seating arrangements and appointments. A second-floor loft space looks down over the first floor. A natural White Oak tree trunk stretches from floor to ceiling. Several branches are left intact and enhanced with carved wood replicas of wildlife such as bear cubs, birds and small critters. In addition to the White Oak Lodge and Resort, Global Connections owns and operates Beso Del Sol (Sunset Beach, CA), Beso Del Sol (Dunedin, FL), Sea Shells Beach Club (Daytona Beach, FL), and Lodge by The Blue (Breckenridge, CO). In addition to the five resorts it owns and/or operates, GCI also leases and manages scores of vacation condominium units all over the continental United States and Hawaii, as well as Canada, the Caribbean and Mexico. GCI’s Global Discovery Vacations club members receive first priority for booking stays at any of the GCI owned and/or operated properties.